OROS and GE Bently Nevada’s machinery diagnostics service team participated at the 14thEDF/Pprime Poitiers Workshop held at the Futuroscope in Poitiers, France on October 8 – 9, 2015. This conference is organized every year between EDF and the Pprime research institute. This was the opportunity for 150 participants to exchange around the topic of the “Influence of design and materials journal and thrust bearing performance.” During this workshop, university professors, engineers from research department of machinery manufacturers and other key players of the industry from all around the world gathered to look toward the next generation of turbomachinery’s design and materials. 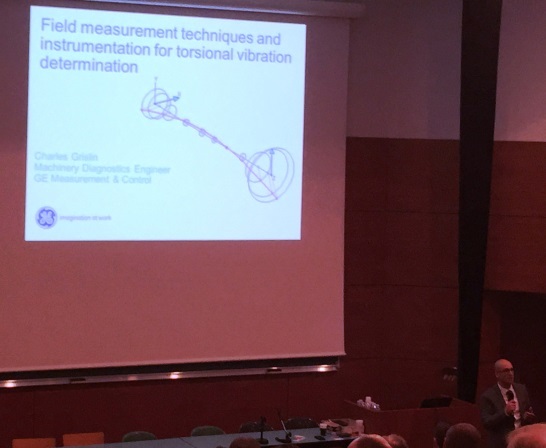 Charles Grislin, a machinery diagnostics engineer at GE Measurement & Control presented a paper on “Field measurement techniques and instrumentation for torsional vibration determination”. This article has been written by Charles Grislin, Nicolas Péton from GE and Guillaume Cousin and Nicolas Denisot, from OROS. This paper describes practical field challenges of torsional natural frequency determination, using the OROS noise and vibration analyzers associated with the Torsion & Twist software module. A poster on a case study was also presented during conference breaks. This presentation was about an elevated vibration on an 110MW generator bearing. 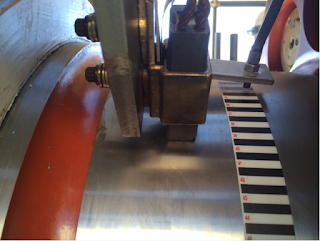 The article” Field measurement techniques and instrumentation for torsional vibration determination” showed three very practical ways of torsional frequency identification using the time interval measurement method. In fact, during an acceptance test on a steam turbine, two data acquisition systems, an OROS OR36 and a GE ADRE, were carried over and three types of instrumentation were used on different locations of the shaft. The purpose of using multiple methods was to validate each one and to compare one to another. In conclusion, all these methods were good ones but can have limitations or constraints in some cases. The full paper is available for download on myOROS, once logged in: Torsional Vibration Determination,GE and OROS. 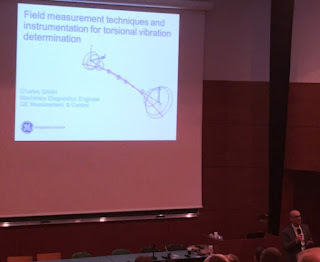 Both presentations were very well received from researchers and engineers due to the field approach of the method. 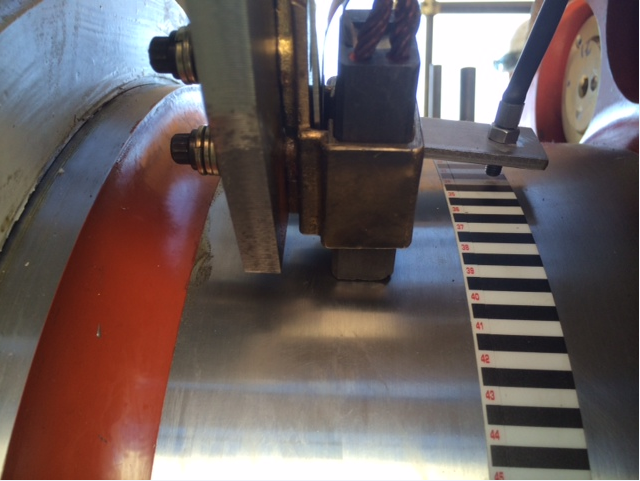 Some, who’d had previous experience with torsional measurement, using strain gages for example, were surprised of the ease of the chosen method. Indeed, it has now been proven that this method gives excellent results with no or limited downtime! This 14th EDF/Pprime Workshop was definitely a success from the technical point of view as well as the organizational one. Dialogue with other participants was very easy and people from academia, industry and even exhibitors, could share their views and experiences. OROS and Bently Nevada showed once again their leading role in the world of Turbomachinery.